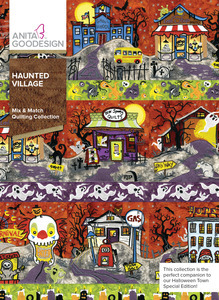 This collection consists of 15 different haunted houses, haunted windmills, and of course, a haunted quilt shop! These designs look great with the 5 different border blocks, which are also included in this collection! 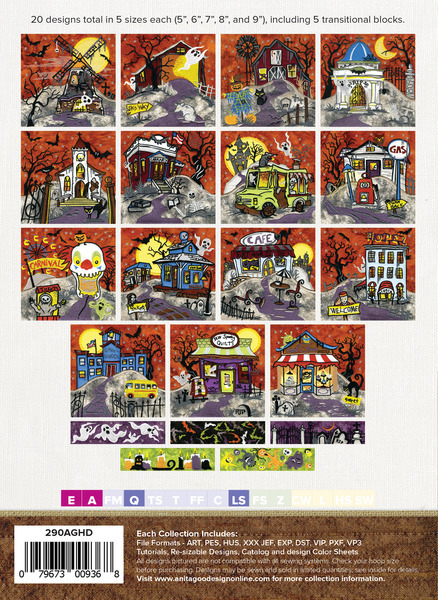 Each of the blocks come in 5 different sizes and are compatible with other Mix & Match collections like Halloween Town! 20 designs total in 5 sizes each (5”, 6”, 7”, 8”, and 9”), including 5 transitional blocks.